When James McCarthy signed for Everton for a fee of £13 million on transfer deadline day in the summer of 2013, even the most diehard Evertonians would not have anticipated the influence that the Irishman would have. 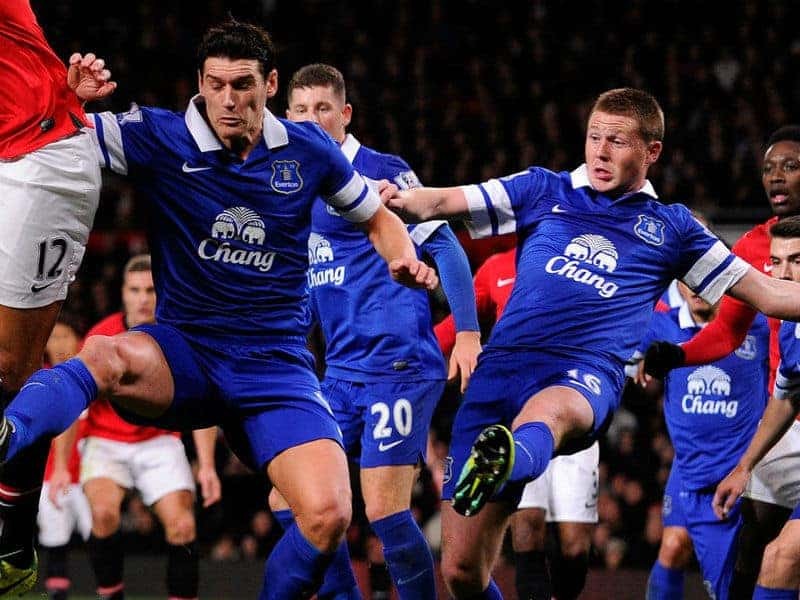 Many Evertonians thought that the club had paid over the odds for a midfielder from a relegated team and that Roberto Martinez had hurriedly wasted a large chunk of the Fellaini money on a player he was familiar with, as opposed to delving into the unknown or indeed finding a player who was proven at top-flight level. It proved not the first time that Everton fans would be made to eat their words after doubting the Spaniard’s decision making. Somewhat overshadowed by the arrival on loan of Romelu Lukaku from Chelsea, as well as other loan signings such as Gareth Barry and Gerard Deulofeu, not forgetting the emergence of Ross Barkley, McCarthy went about his work in an honest and dignified manner. McCarthy flourished playing alongside Gareth Barry as the two holding midfielders in Martinez’s 4-2-3-1 formation, which the manager utilised with unerring consistency. McCarthy himself was no enigma, participating in 39 matches in all three domestic competitions, putting him behind only Leon Osman and Seamus Coleman in the list of highest appearance makers for the 2013/14 season. It was his commitment in each and every one of those games which endeared him to the Everton faithful with almost immediate effect. McCarthy epitomises what it means to pull on the royal blue shirt. There is a certain irony that McCarthy signed so soon after the sad passing of Dave Hickson, since the royal blue spirit that Hickson showed in abundance shines through in Everton’s modern day Cannonball Kid. Evertonians are renowned as football supporters who appreciate players giving 100%, something which the late, great Alan Ball picked up on. It is, therefore, no surprise that the fans have heaped praise on McCarthy, with some saying that he covers every blade of grass on a Saturday, while others say that he covers the remaining 30% of the world not covered by water. It certainly seems that way. With gut busting runs, tenacious tackling and a never-say-die attitude, it is no surprise that McCarthy’s consistent level of high performance has attracted the interest of clubs such as Arsenal and Manchester United. One only has to look at challenges such as the 92nd minute goal saving tackle on Kevin de Bruyne, which McCarthy made in the Europa League campaign earlier this season. With the scoreline 4-0 to the blues at the time, it is that sort of effort and commitment to the cause which has made McCarthy an integral part of Everton’s system, not to mention a favourite amongst the Goodison faithful. A niggling and persistent hamstring strain has halted McCarthy’s progress this term. Many would argue that there is certainly a correlation between the fact that he has only played a part in 73% of Everton’s league matches so far this season (compared to almost 90% throughout last season) and Everton’s inconsistent start to the 2014/15 season. Some would go as far as to say the absence of a fit James McCarthy has been the root of the problem this season. One can rest assured, however, that when McCarthy crosses that white line, he will wear his heart on his sleeve and leave everything he has on the football field. Perhaps it is this staunch attitude towards the badge on his chest which makes him susceptible to injury however, I, like many bluenoses, am happy to keep him just the way he is.